(Natural News) The debate between liberty and security is one that the American people have been having for centuries. Indeed, Ben Franklin once famously said, “those who surrender freedom for security will not have, nor do they deserve, either one.” But in the wake of the September 11, 2001 terrorist attacks, many Americans – certainly not all, but many – are starting to come to terms with forfeiting a bit of their liberty in exchange for safety. In a case that analyzed the infiltration of the TSA by transnational criminal organizations, 12 current and former agents as well as other airport staff members have been charged with assisting in the transport of over 20 tons of cocaine over nearly two decades, a quantity that is worth over $100 million. Between the years 1988 and 2016, these TSA agents have successfully smuggled 40,000 pounds of the drug through Luis Munoz Marin International Airport in San Juan into the U.S., according to the Department of Justice. 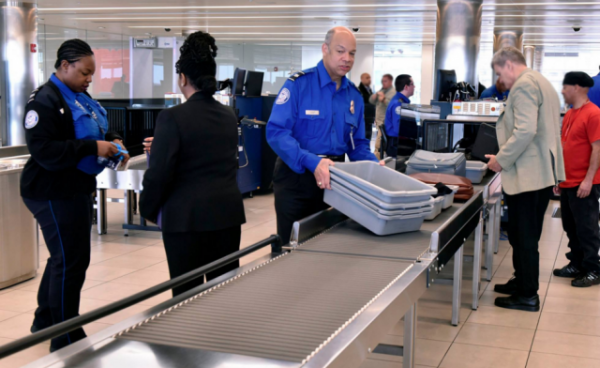 The official press release from the DOJ described how six TSA agents “allegedly smuggled multi-kilogram quantities of cocaine while employed as TSA Officers at the San Juan airport. Their full-time responsibilities were to provide security and baggage screening for checked and carry-on luggage that was to be placed on outbound flights from the LMMIA.” The report went on to say that these employees smuggled the cocaine straight through the TSA X-Ray machines and onto the airplanes without ever raising any suspicions. Rosa Emilia Rodriguez-Velez, U.S. Attorney for the District of Puerto Rico, said, “these arrests demonstrate the success of the AirTAT initiative, which has successfully allocated a dedicated group of state and federal law enforcement officers, whose mission is to ensure that our airports are not used in the drug traffickers’ illicit businesses.” Of course, it’s a good thing that these drug traffickers were caught but it’s a shame that it had been going on for two decades before they were brought to justice. The DOJ statement went on to describe the criminal nature of TSA agent Javier Ortiz, an employee of Airport Aviation Services. Ortiz would specifically target suitcases that he knew contained cocaine and place them through the X-Ray machine himself, often paying fellow TSA agents to look the other way. Ortiz would then take the suitcases to their designated flights, avoiding K-9 units that would be able to detect the drugs that were hidden inside. Once he had the bags loaded onto the plane, Ortiz would simply call the drug trafficking organization he was affiliated with and give them the all clear. If the defendants are convicted, they face anywhere from ten years to life in prison. The most unfortunate thing about this case is the fact that the TSA was engaged in the very thing it claims it tries to prevent. Even though it was only a handful of rogue employees, it still does a tremendous disservice to the agency as a whole. If you can’t even trust the gatekeepers, then who exactly can you trust? (RELATED: You won’t believe what TSA agents did to this blind and deaf teenage girl).